Life in the countryside is a breeze, right! The great planes, the sun on your face – everything is idyllic and calm, right? WRONG! Prepare to be hit by the Super Twister that will blow your house up – but also bring you plenty of amazing prizes along the way. The Company behind this amazing game is none other than Habanero, a gaming developer that always delivers games that can be found on the highest shelf, quality-wise. It is not without reason that we are so happy and proud to be able to offer our players access to the many funny and beautiful games from this developer. You can read more about them at a later point in this review – but not we will have a close look at the amazing game, Super Twister – from Habanero. Hold on tightly, here we go! Join us for an experience in the countryside where the Super Twister will blow up everything and give you plenty of wins. You will find plenty of fun symbols in this game. In the main game, you will meet symbols such as the sheep, a funny duck, the farmer and plenty others. The most valuable of these symbols is the sheep since it can reward you with 1000 coins if you manage to land 5 of these symbols on the reels. Now we will have a look at the more special symbols of this game since they can really mean the difference between everyday life and nothing short of a dream win. The Twister symbol is the Wildsymbol of the game. It can substitute all of the game's symbols except for the Barn-symbol. When it does this it will help the player to gain new and improved winning combinations of symbols. In this game, the Scattersymbol is represented by the Barn. This symbol has a truly amazing ability since it can award you with up to 15 Free Spins. This happens when 3, 4 or 5 Barn-symbols appear from left to right on the reels. While you are playing your Free Spins all your prizes are based on the lines and bet of the triggering games. 5 reels over 3 rows greet you when you first open this game. The game holds a staggering 50 fixed pay-lines. That the pay-lines are fixed means that you do not have to worry about deciding how many active pay-lines you wish to play with – since all 50 will be active during any spin. This is great since you will always have the highest possible potential of landing winning combinations of symbols. Should you be a bit more adventurous and wish to bet larger amounts, then this game is also suitable for you. The more daring of our players can choose to bet as much as €125 per spin. There is a true potential of landing large and impressive prizes when playing this game. The graphics and sounds of this game are extremely well-made and we really felt, that we were treated to something very special during our work with this review. 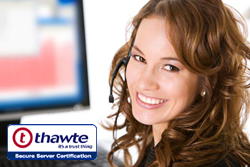 We feel quite confident that you will love the graphics, layouts, and sounds. They all fit hand in glove with the overall theme of the game. The game is full of fun small animations that show themselves whenever you manage to land a win. It is hard to wish for anything more from a games graphics and sound! As you will now know, the life in the countryside is not always as calm as one might think. This truly applies to the rendition of country-life that we find in this game. 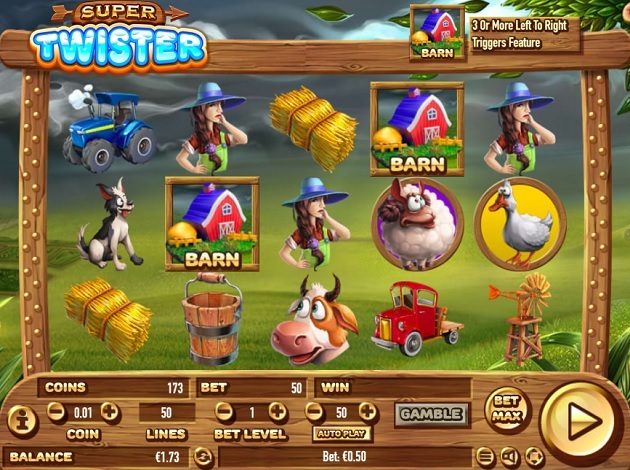 The Super Twister brings us plenty of drama, fun, excitement and winning potential. Habanero Gaming has never disappointed us – and with this game, they surely live up to our every expectation.